Last week, when I shared some tool tips for beginners, I thought it might be a good idea to talk about the arsenal of cutlery I've acquired over the years for various stages of the sewing process. I found that when it comes to the world of scissors, there is something that fits nearly every circumstance. There's a lot of choices, which is great! Yay for choice! 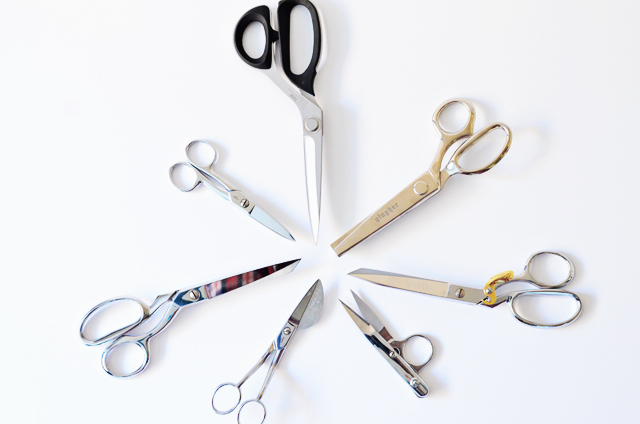 You might be asking, "Why do I need more than one pair of scissors?" It's a valid question and one that I asked too. As I've sewn more and more garments over the years, I've found the value of having lots of different types of scissors that work better than others do in different stages of the construction process. I don't know if you've ever had the pleasure, but I've cut holes into garments from using the wrong scissors. It's a cold compress moment. Tears are usually shed. Expletives start flying. It's not pretty. Let's start with the old standbys. My fabric cutting shears. I have three pairs of these. I have a pair of Kai's that are great for most everything. They could slice through steel I tell ya! 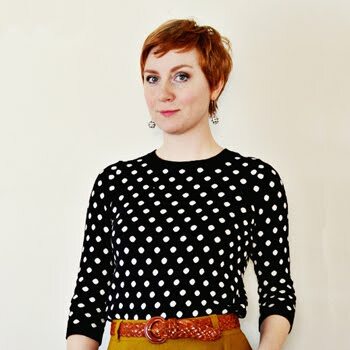 I also have a pair of spring-loaded Gingher's that I use only on silk fabrics. I end up working a lot with wool and a lot with silk and I've found that wool actually dulls my shears a little, so I opted to invest in a pair that was only for silks and/or thin fabrics like lining so that I wouldn't have to get them sharpened as often. I also have a pair of Gingher serrated shears that are marvelous for those extra, extra tricksy slippery fabrics. The knife edge has tiny micro serrations in it and they grip the fabric and then slice and they are ideal for silk charmeuse or chiffon. My next most used pairs of scissors are my nippers. They are a Gingher pair, but I've used others with success too. I use nippers for cutting threads and they stay right next to my sewing machine while I sew. I have tried to get used to the thread cutter on my machine, but I like the ritual of using my nippers. It's a funny little preference as I do love speed, but it's something I do. My tailor points come next (on the right above). 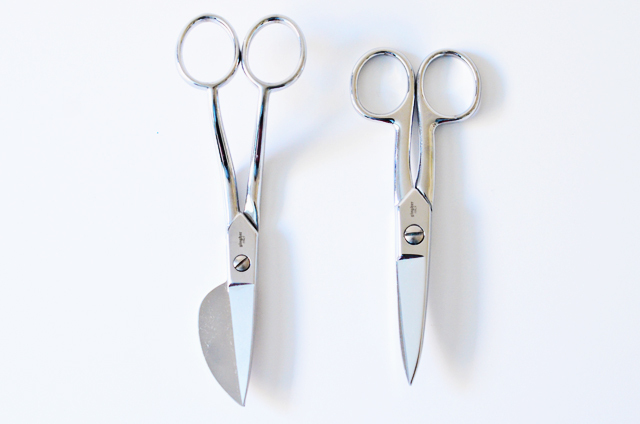 These are a little 5 inch pair of Gingher scissors that I use all the time for clipping, trimming and grading. They are probably my favorite pair, I use them so much! The short length helps protect against the dreaded slice into the garment. Mainely Dad also recommends bandage scissors that help protect against that sort of thing even more! Look, these ones are serrated! 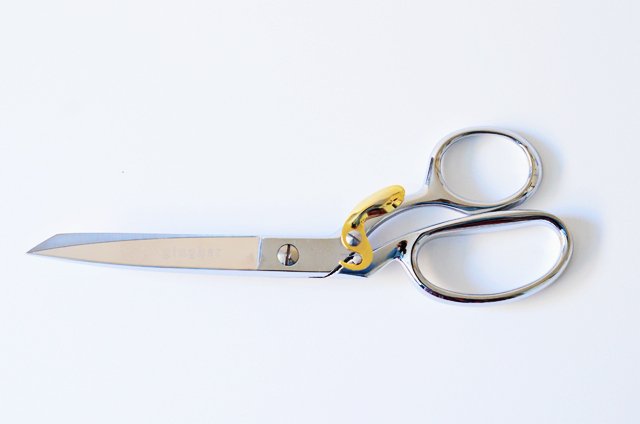 I use these Gingher Applique Scissors (on the left above) for narrow hems, like say on a circle skirt. Surprisingly that's about the only thing I use these for, but I do find them very useful in that instance. They are handy to have around when you need to get nice and close to an edge. Last, but not least, I do have a pair of Gingher pinkers. I've seen these used as a seam finish, but I use them for trimming curved seams. You know how you're supposed to notch or clip curved seams so they lay right? I use pinkers instead and trim the seam to about 1/4". Granted this is only on enclosed seams, but they are very useful for this purpose. Back a few years ago, I made a little peg board especially for my shears (and then from there I added other items to it too). It's very handy as all my scissors are hanging up and out of the way and they are easy to access when I need them. Took an old picture frame from a thrift shop and had some peg board precut to the right dimensions and voila - instant scissor hanger! There's my arsenal of scissors. I don't use much in the way of a rotary cutter - though I have two for odd jobs. I'm a shears and scissors lover. What about you? 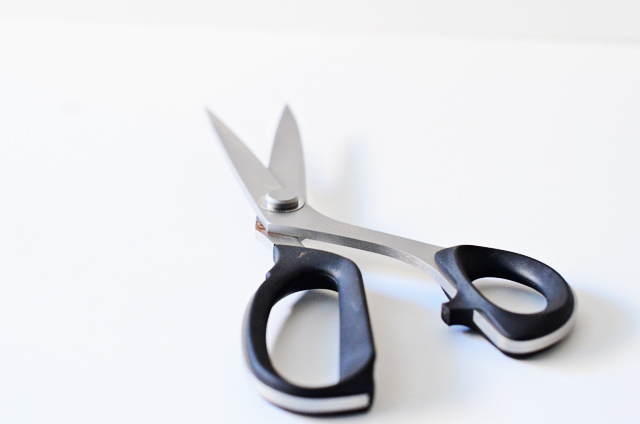 Are there special scissors that really help you? Or do you use a rotary cutter? Thoughts on the best ones you've tried? We'd all love to know! Great post! I was wondering about the rotary cutter you have hanging on your pegboard. What brand is it? Thank you. Pinking shears on curves?!? Brilliant! I misuse the duckbills/applique scissors at my house for everything fabric; they are that handy (and they hold a sharpening). I am still working with the first crummy rotary cutter I ever bought, I still hate it, but I find it's handier than it used to be. I see you have the Gingher, and I have heard fine things about the Kai (both brands I've long experience with). I love the rotary cutter. I use it most of the time now. I also love my Gingher applique scissors. I use them all the time. I ordered some Kai embroidery scissors since I ruined my Fiskars. And I'm also waiting for replacement Gingher pinking shears to replace my ten year old cheapies. After a hand injury a year ago I started using my rotary cutters almost exclusively, and I don't know why I waited so long, I love them. Now I mostly only use scissors for trimming, snipping, etc. I do a lot of home dec sewing for work, and love my big Kai shears; very lightweight and with a nice long blade. For close-in work like snipping to a stitch line I use an amazingly sturdy and sharp pair of electrician's snips from Klein Tools, model 2100-7, available at many hardware stores or online. They work well even on heavy fabrics and I would not want to do without them. 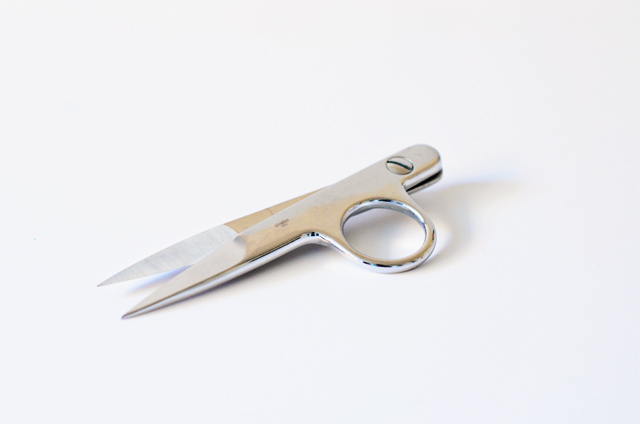 A recent find is also from Kai/Omnigrid, a tiny delicate scissor with very pointed blades that is great for cleaning up buttonholes and whatnot. Love the post and your board, now I don't feel as guilty with all my different scissors. If I may, I would add paper scissors to the collection. Great post! I too love my Kai shears for general fabric slicing. I picked up a pair of Kai curved snips for trimming inside the machine embroidery hoop. Like you, I keep snips next to my machine for when a seam needs a haircut. ? There are general purpose Fiskars for cutting anything paper but I always use my Olfa 45mm rotary cutter for patterns. I use large washers from the hardware store (low profile is a must) for pattern weights and now cutting out patterns is done in no time. Then I go back with my snips to mark the notches. Its a simple matter to move the pinned pattern along the cutting mat. This method is better for me because the fabric doesn't lift during the cutting process and I've discovered I won't cut slinky fabrics without the rotary cutter. I also use a smaller wheeled version for tight curves. I love my nippers. I don't know how I lived without them before. In the US cutlery means knives and forks also. I also thought we were going to get a post on bringing something from the kitchen into the sewing room. After reading the article, I assume she is just extending the use of the word to metal ware in the sewing room. "sharp tools made of metal (such as knives and scissors) that are used for cutting things"
I've heard it referenced to all manner of cutting tools, not just knives and forks in the kitchen. I have two rotary cutters. The grey one in the photo is the Gingher one and then I have a Kai rotary cutter too. I personally prefer the Kai, but I do admit, I don't use them very often. I prefer the Kai - it just holds better and the cutting is easier. I do believe that a standard knife sharpening store will sharpen them for you. Your local fabric shop - if you have one - usually has an option or they might even know of a place where you can get them sharpened. 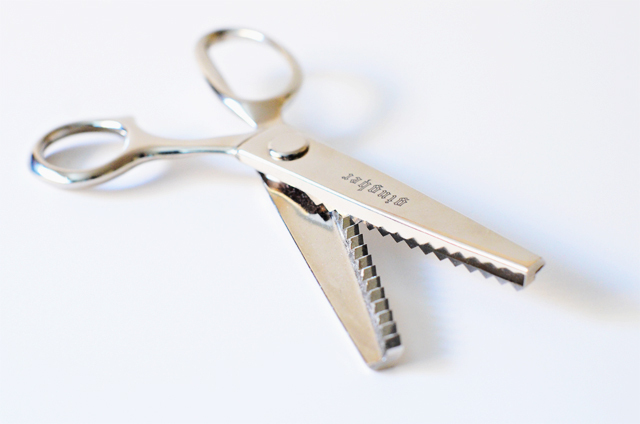 Both Gingher (owned by Fiskars) and Kai offer scissor sharpening services where you send your scissors to them directly and have them sharpened. This is something to consider if you have serrated shears as I've not heard of a sharpener who can do that. I've yet to try the send off to Gingher or Kai so I'm not sure of the time frame, but it is a possibility. Oh these are marvelous tips! Thank you Janet! Oh good - so glad to hear that someone else has a plethora! I find them so useful in so many different situations. And yes, paper scissors! I'm gradually acquiring quite a selection of cutting instruments myself! When you start out you think you just need a couple of pairs but as you go along you realize that each specialized pair has that one use that makes the job so much easier, precise and faster. I love my KAI definitely. But I love my duck bills and snips as well. 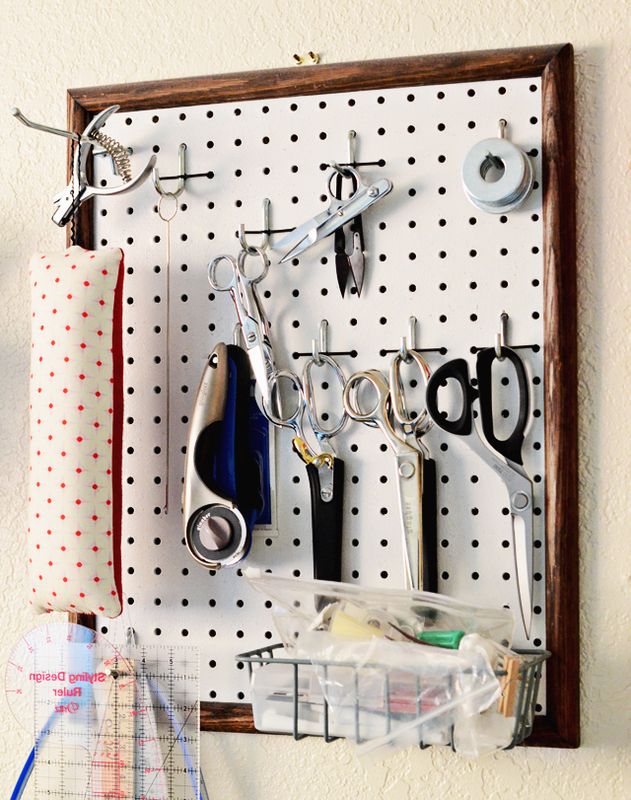 Love that pegboard, I'll be making one pronto! I must admit to a recent love affair with the rotary cutter but, horses for courses. That was kind of a stupid question - didn't stop to think of a fabric store. ;) I have my knives hand sharpened and had him to my mother's old fabric shears (just wasn't sure if the process was the same). Thanks for the tip! I'm slowly acquiring an arsenal of cutting tools as well, but as a left-hander it's a bit of a struggle. 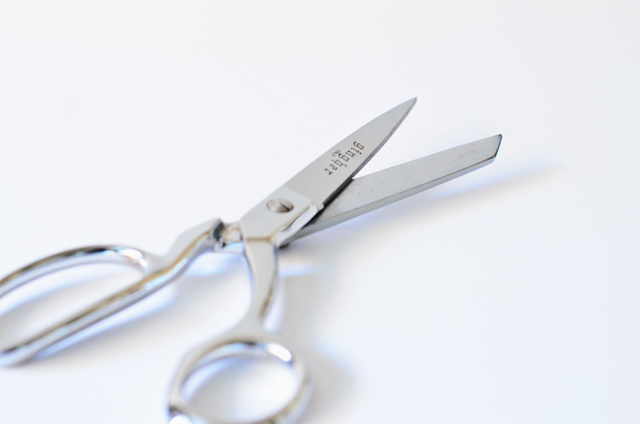 When I got my first left-handed fabric shears I realized the huge difference it made. I have 3 pairs of 8" shears - one for paper, one serrated Gingher, and one Kai. But I have yet to find any 5" left-handed scissors! If anyone ever tracks some down please let me know, I would pay a pretty penny for a nice pair! Your writing style is so efficient, great for blogging. I have been slowing building my collection of cutting tools, too. My favorites are the ones that I have from my Grandmother and her aunts.